Karyn opened S-kape Salon & Spa in 2000 with only 2 chairs and had no idea then that it would become what it is today! She now spends most of her time managing the salon and coaching all of the service providers to be successful with their career paths, education and guest satisfaction. 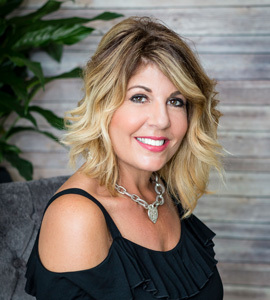 “Passing on what I have learned as both a stylist and a business owner is truly my passion” When Karyn is not at the salon, she is usually traveling, spending time with her daughters and grandson, or out on her boat enjoying the sun.